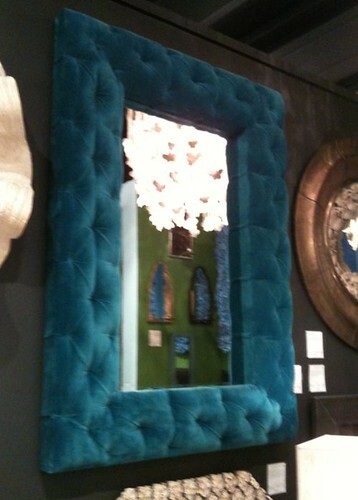 The High Point Market Fall 2011 recaps continue today with accents! My favorite part of designing is definitely the accessories and you could tell from my photos, half of the 300+ were of lamps, pillows and art work! These pieces are definitely the jewels of a room! 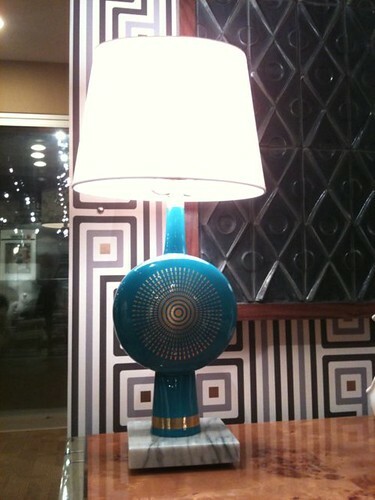 The turquoise and gold combo of the Electra Table Lamp from Jonathan Adler was one of the first pieces that captured my attention! So chic! Arteriors Showroom was packed with such gorgeous pieces it was hard to narrow it down. The Raven Shadow Lamp with it's curvy features solidified that gray is here to stay. 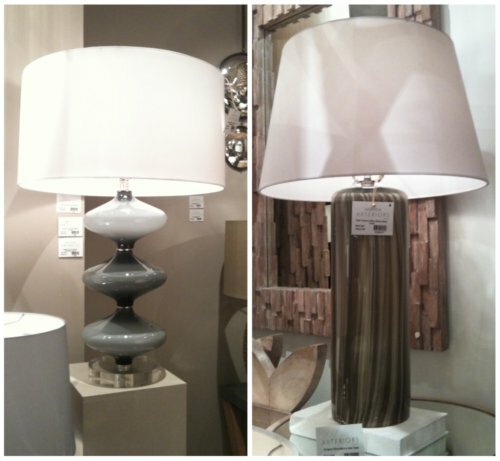 The washed stripe affect on the right lamp was so subtle but made such a statement! Oversized lamps and especially oversized lamp shades were everywhere I turned. I have to say I like this exaggerated look! You know when you stop into Visual Comfort you are in for a treat, their designer collaborations are unlike any others! Cream or white accented by gold was a BIG trend at the show. Gold was literally in every showroom! During Market the incredibly talented (and delightful) Tobi Fairley introduced her fabric line at Hickory Chair. I was immediately drawn in by the sharp yellow and gray contrasted against white. 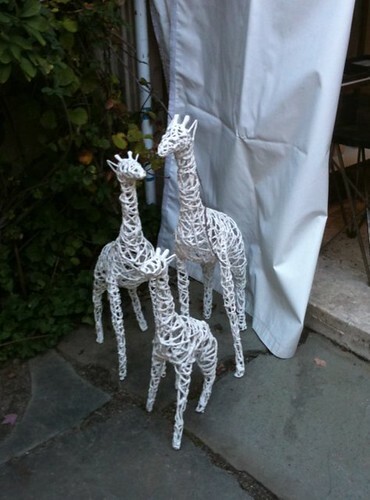 These would wake up any living room or bedroom setting! To see even more hop on over here. 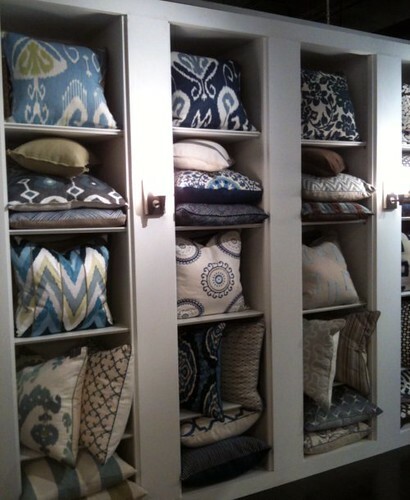 Ahhh I could have spent all day perusing the pillow collection at Ryan Studio! This is what High Point is all about visiting your old favorites but also finding new ones like this company. 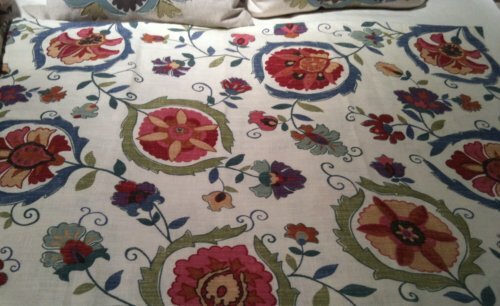 I absolutely love that each pillow is welted and most with a contrasting welt. I wish more companies would have such an attention to detail, it makes the pillows feel much more custom! Blue was a common theme in all accents. 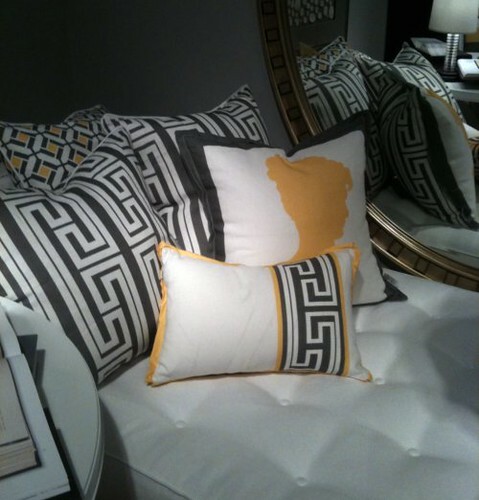 The bedding ensembles at Legacy Linen had me redecorating my own master bedroom! The luxurious fabrics were absolutely stunning and you could not help but sigh with happiness when you touched them. Dramatic? Maybe, but absolutely true! The above duvet is named Lexington Mist. 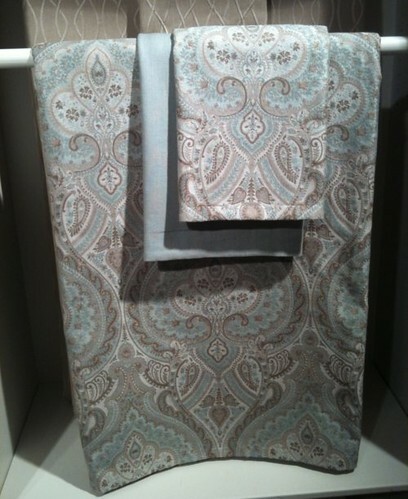 Suzanne Kasler also introduced a new fabric line for Lee Jofa. This pretty pattern with it's bright florals felt like summer to me! 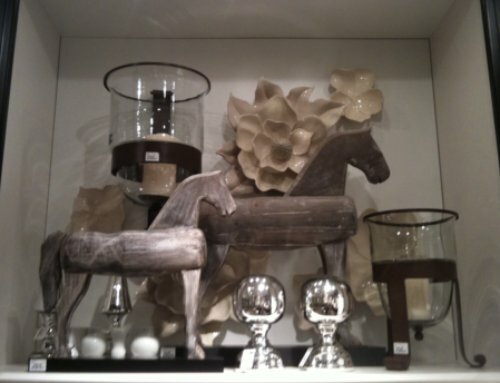 The equestrian theme was still going strong as seen in the Global Views Showroom! Remember in the Upholstery Recap I talked about "overall tufting"? Well it's not just for sofas anymore, though I am not sure exactly how I feel about this piece. These little guys at Oly stopped me in my tracks, they are just too sweet and of course I wanted to take them home! What accessory trends do you like for the upcoming year? Did you not get enough? I uploaded all of my accent photos to Facebook, check out my Jace Interiors & CreateGirl page! If you missed any of the other High Point recaps just click here! 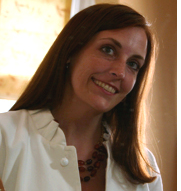 Wonderful recap, Julieann! Thanks for including us with such kinds words in the mix! Oh I love that turquoise lamp and the littler animals from Oly! Great pictures! Those legacy linens are absolutely gorgeous.